When you’re browsing through different engagement rings on display, it’s easy to be enchanted by the brilliance of the gems and overlook the work it takes to get them to their final state. Diamond cutting is an art that has evolved over time to produce a variety of intricate, eye-catching designs you can see in our range of engagement rings. Here’s a closer look at the different diamond cuts and their history. The Marina engagement ring features a stunning round brilliant diamond. Perhaps the most iconic and classic of diamond cuts, this cut was designed to maximise a diamond’s brilliance. 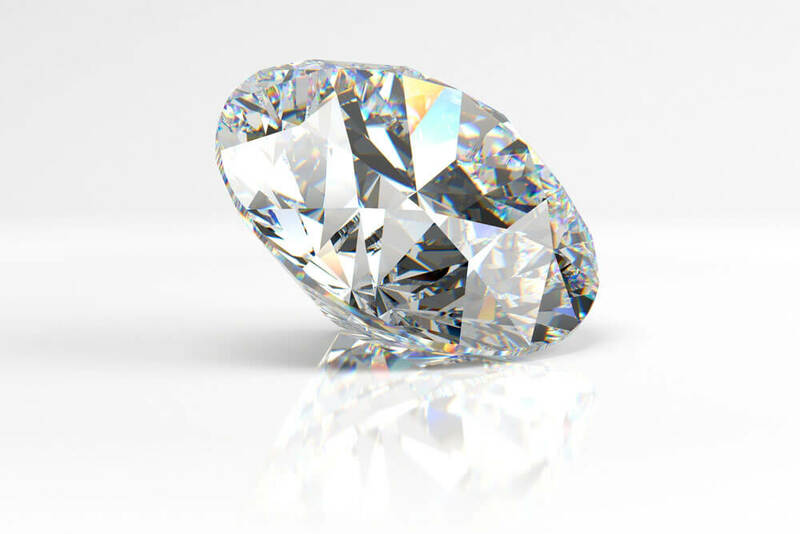 With 58 facets, the round brilliant cut had its origin in the Mazarin technique developed all the way back in the 17th century. You can find an example of the round brilliant cut diamond in our Marina engagement ring. 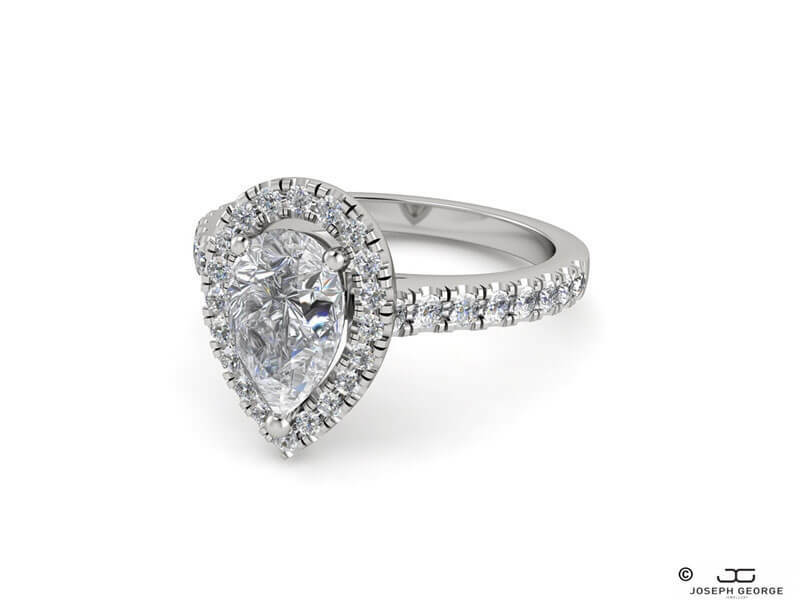 A pear cut diamond is the star attraction in the Xanthe engagement ring. This elegant diamond is teardrop-shaped, and combines elements of brilliant and marquise cuts. It was created in the 15th century thanks to the work of Lodewyk van Bercken. A Flemish jeweller, van Bercken also invented the scaif, a vital diamond polishing tool. A pear cut diamond is at the heart of our Xanthe engagement ring, surrounded by a halo of round brilliant diamonds. 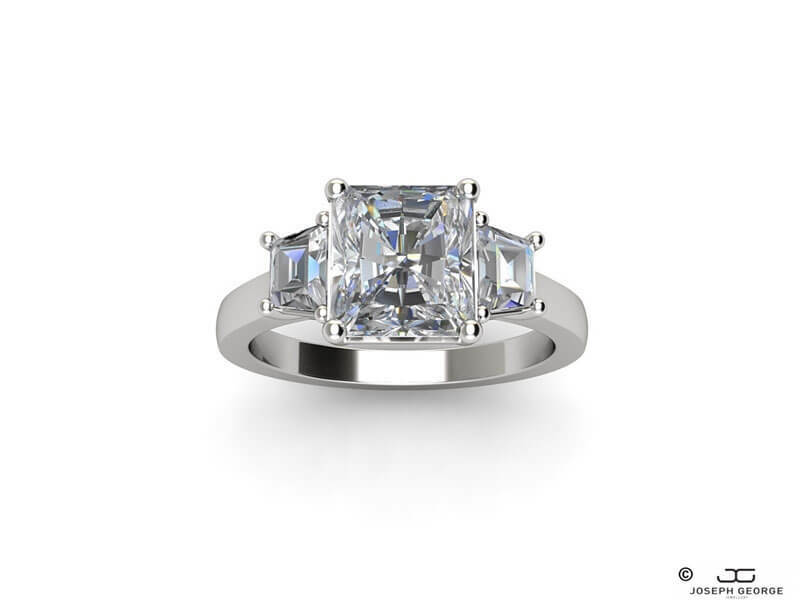 A regal princess cut diamond is at the heart of the Eris Engagement ring. The princess is a dazzling cut with bevelled sides to allow light to disperse throughout the gem. An evolution of the Barion cut developed in the early 1970s, the princess cut was created after careful research by Israeli jewellers Ygal Perlman, Betzalel Ambar, and Israel Itzkowitz in 1979. Our beautiful Eris ring features a prominent princess cut diamond, framed by two intriguing trapezoid cut diamonds. 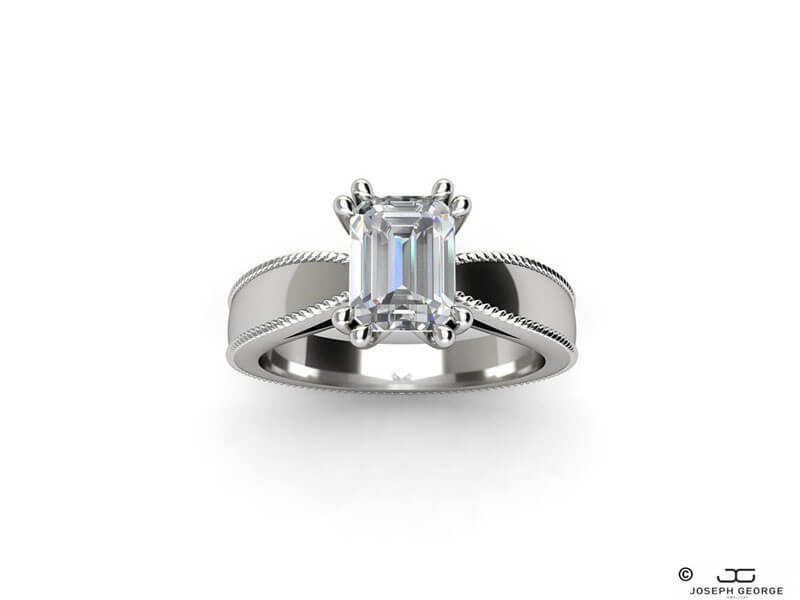 The Themis ring features a mesmerising emerald cut diamond. This heritage cut was first pioneered back in the 1500s in the form of the table cut. However, the more sophisticated emerald cut that you see in pieces such as the Themis engagement ring came about in the art deco era circa the 1920s. With a flat top plane, an emerald cut features a unique step-cut that can be seen through a top view of the diamond. 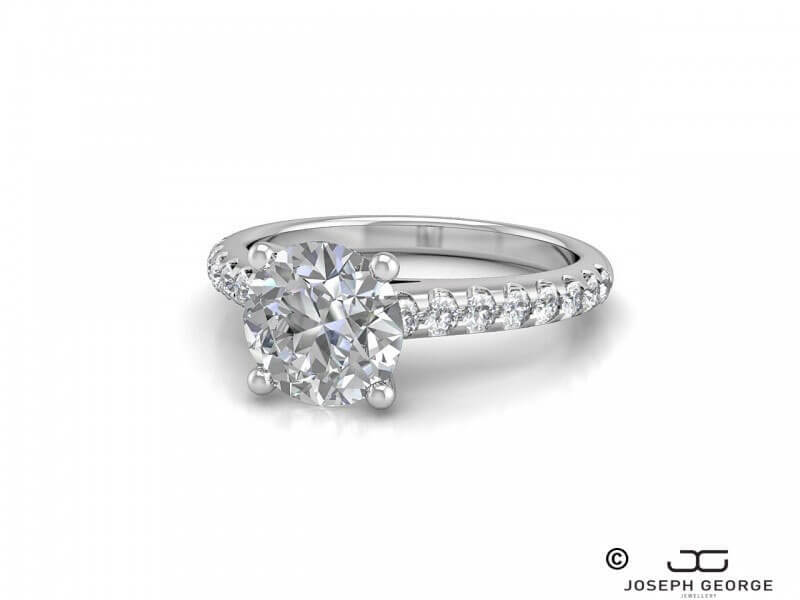 If you need some help finding the perfect diamond cut, we’re here to help at Joseph George Jewellers. 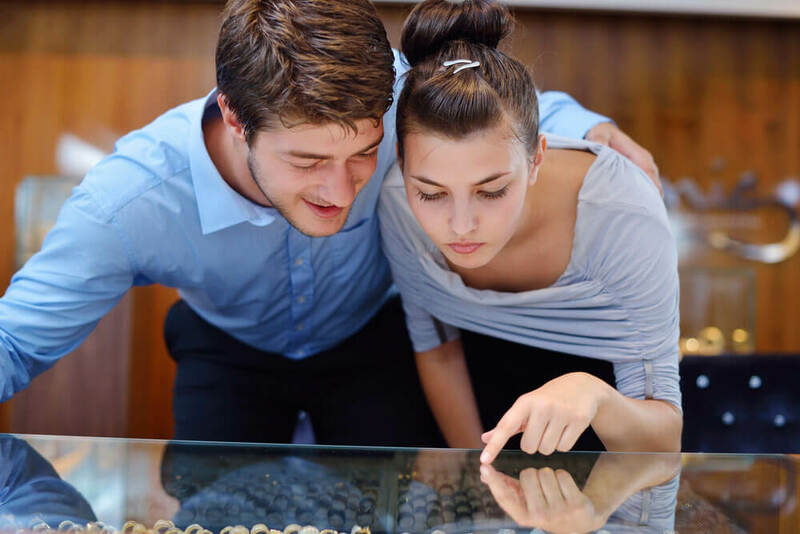 You can come into the store to browse our collection, or contact us online to find out more.